Giessen, February, 1, 2017. Benjamin Dilberger holds a Master of Science (M.Sc.) in nutritional sciences. For his Ph.D. he is currently developing C. elegans as new research tool to investigate brain aging and Alzheimer`s diseases following the mitochondrial cascade hypothesis. 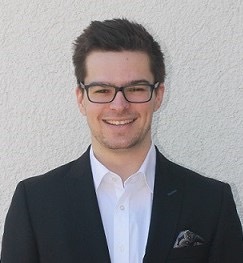 In his collaborative project he is closely working with the reserach group of Prof. Wenzel who chaired the professorship in molecular nutrition research.